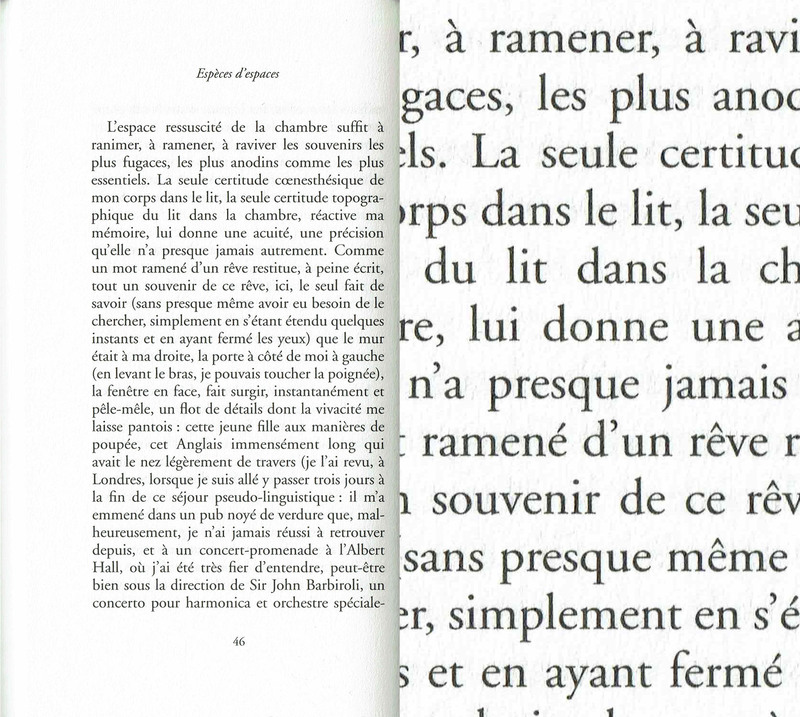 I've been noticing a pattern in the use of typefaces in French and German books. It seems as if there were a strict national culture regarding what kind of typeface you should use. It's not always exactly the same but very similar ones and always clearly not the kind of the other country. To me, both kinds seem to be based on Garamond. 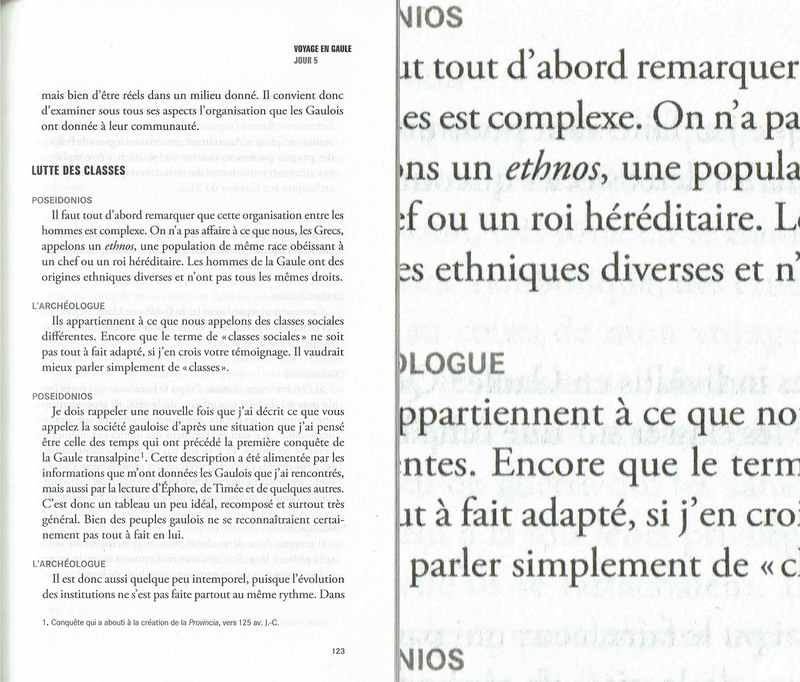 If this should matter when people choose a typeface for a book in French or German. Thanks a lot for any kind of help and advice ! Mhh, not sure if I understood what you are asking about exactly. Do you want to have these typefaces identified? I think they look/feel very similar apart from the text having a very different look and feel due to all the differences in word length, character frequency, accents etc. 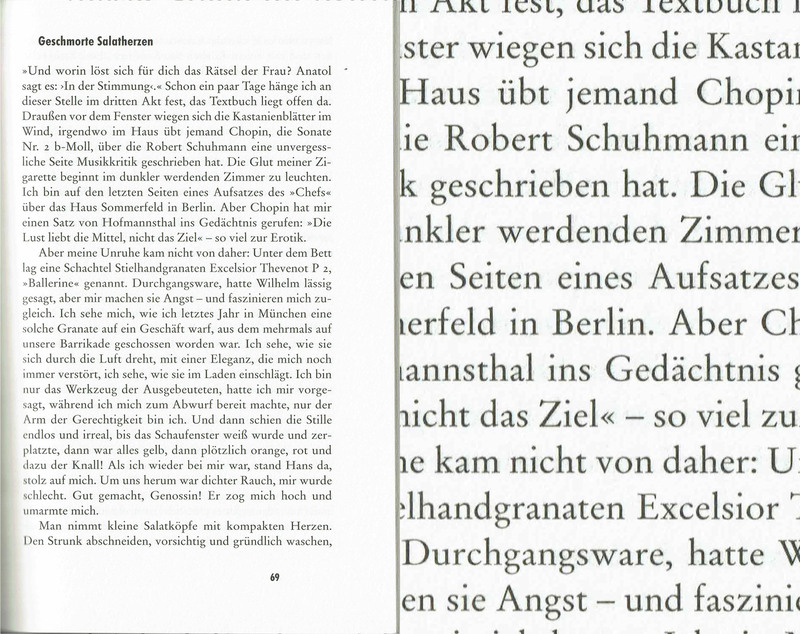 Some typefaces might be the “same” in different version (FR 1 + 2 and DE 1 + 2?) and from different (local) manufacturers. DE 3 seems to be set in metal Linotype, judging from the no-kerns and the ch and ck ligatures that are not used anymore today. I would have actually expected the choices to be much more different. My suspicion is that 80% of all German literature is set in Sabon, Bembo or Stempel Garamond (often old digital versions the publisher or service bureau licensed 20 years ago and reuses over and over) while in French books I’d think I find more Fourniers or Grandjeans, or other serif typefaces with a comparably low x-height that leaves enough room for accented lowercase letters. That’s something the Germans don’t need and one reason, I suspect, why they love large-x-height typefaces where the many caps are not sticking out so much. Sure, one can keep the origin or place of frequent use of the typeface in mind but I’d rather ask if it’s fitting the content’s “place”, not the place of the publisher. But that the proportions of the typeface fit a languages absolutely matters I would say. That’s more than 50% for Garamond, Sabon and Bembo – and this includes books that are not literature in the narrower sense of the word. I assume one would get different numbers for 2015, and probably some other typeface names for the runners-up, but I guess the big picture hasn’t changed much. Wigs, tailcoats, breeches and stockings are long since gone, but le style Garamond endures. 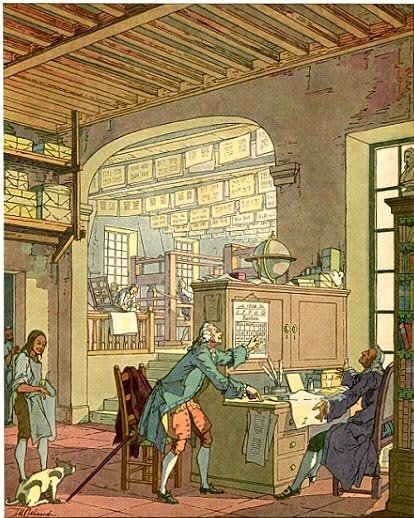 Illustration by T.M. Cleland, 1929. I understand that the language impacts the visual effect produced by the text. But to me the typefaces also play a role here. 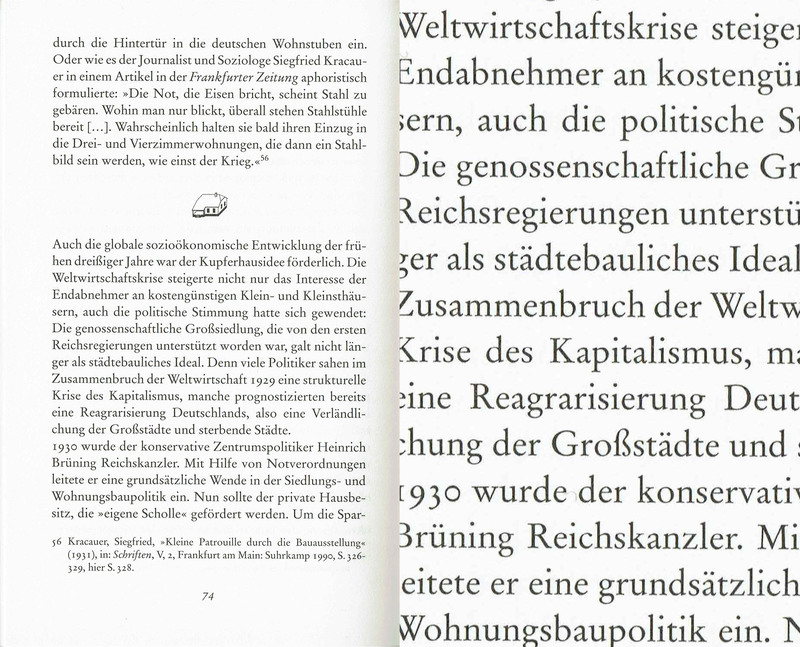 In this respect, I find Indra's explanation about the French need (and German disinterest) in low-x-height typefaces very convincing and it echoes my impression that German typefaces for books always look more vertical and the French very horizontal. 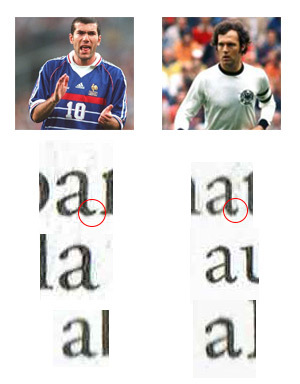 You can see that the French uses a wider "a" with a low "tail" (sorry, I don't how you call it) and that the German uses a narrower "a", whose verticality is emphasized by the "tail" going up. There really seems to be two families here, no ? 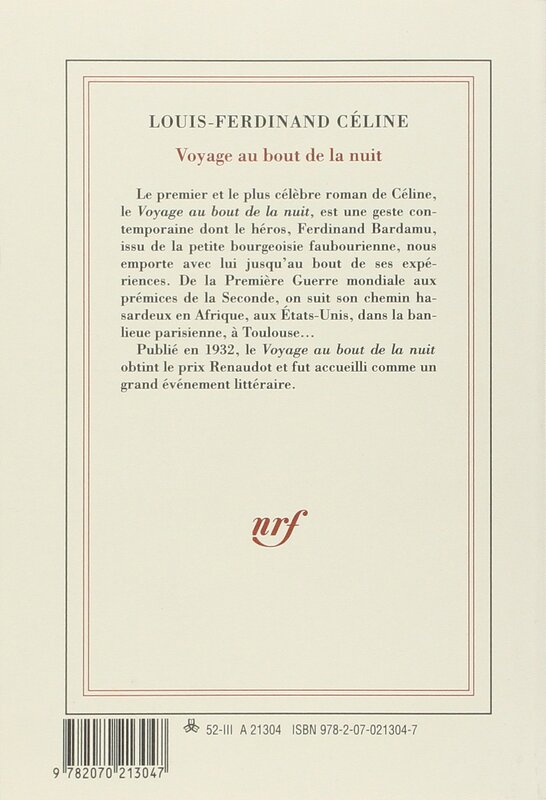 As a last example, this a German book which looks French to me. My suspicion is that this book was edited by a very small association, not a big editor, and thus they wouldn't be aware of this whole thing. How many books did you analyse? Published when? I think it’s hard to generalise like this, and hard to agree with your conclusions (at least I don’t with your last proposition). 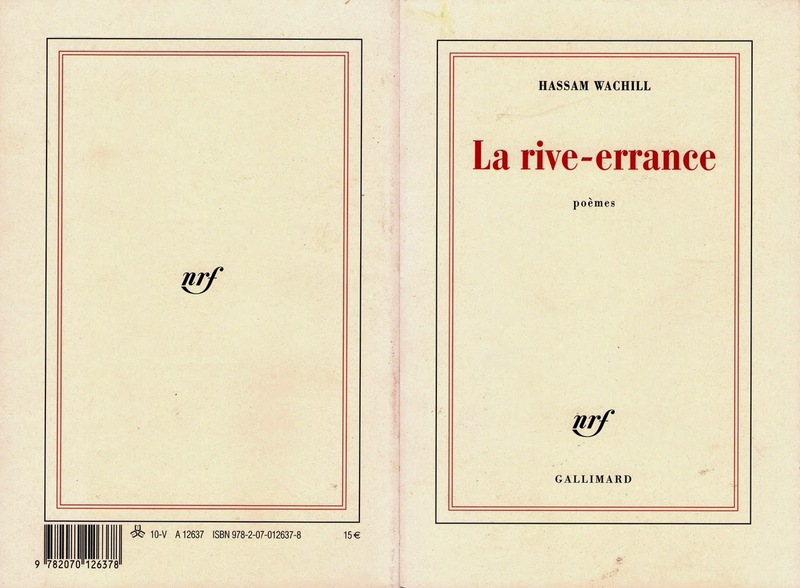 Your last example is set in one of “the other” Garamonds (Jannon branch), so yes, French, but likely not used here just because a small publisher wasn’t aware of things. 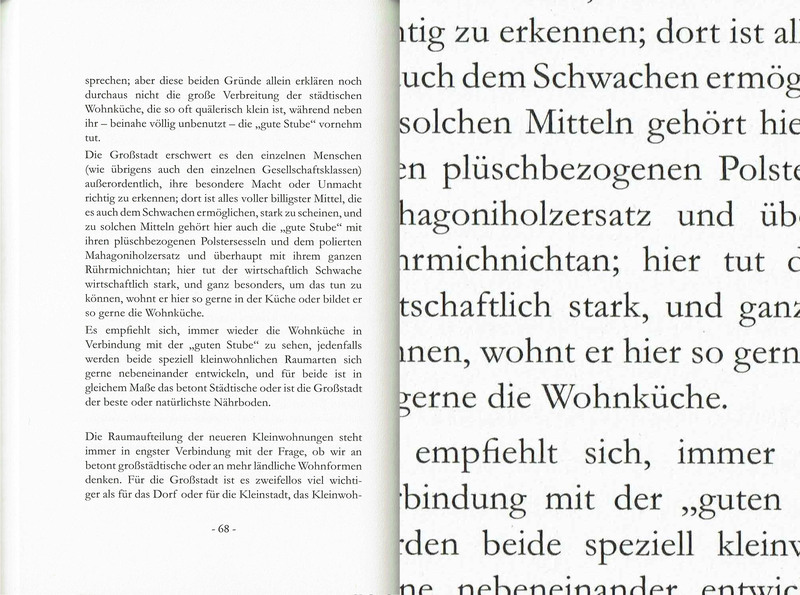 It’s for instance how Monotype’s Garamond looked like as opposed to Stempel/Linotype’s. The more horizontal a-tail is present in Adobe’s Garamond for instance. Proportions and details in typefaces oftentimes stem from (former) technical limitations, which is a whole other can of worms. Just to be clear, I'm not talking about the country of origin of the typeface. 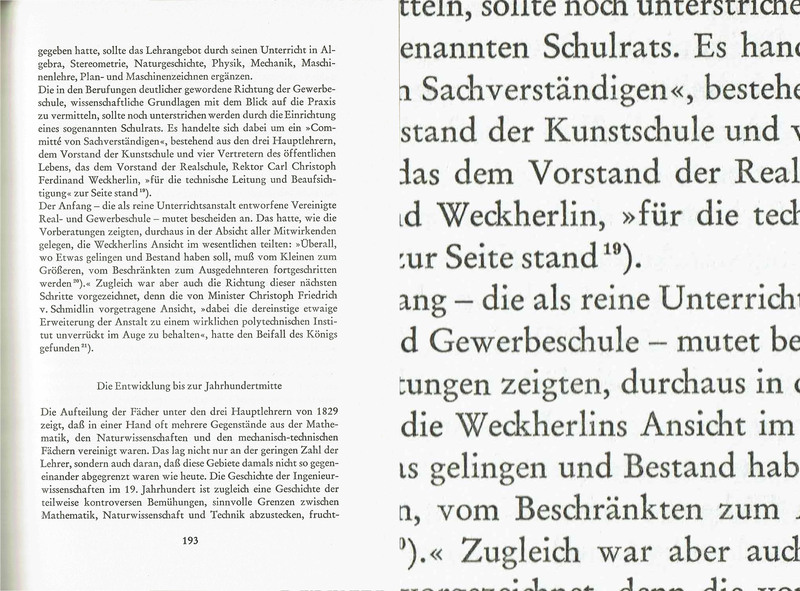 To me, here, Garamond is not more French than German. I'm looking for habits of publishers between these two countries (or rather languages). My question arrises from personnal experience with books in these two languages, I haven't done any more research. I'm not trying to make a point, I just thought there might be some kind of well-known publishing culture behind this - but I guess I'm wrong, or someone would have pointed it out already. 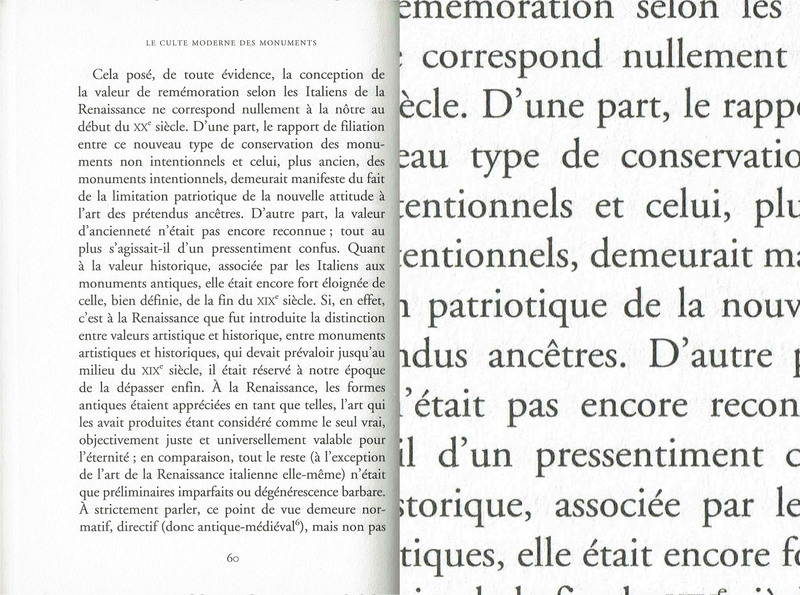 My impression is that continental (at least French) books have used modern(ish)-face types more often and longer than oldstyle-dominated Anglo/American book publishers. Is that true? Yes, this is true. It’s hard to imagine such typography in English.